Sears Cornell in "a New Model Suburb"
Sears Cornell from the 1928 Modern Homes catalog. This Sears Cornell is located in Northfield. It is not authenticated, but it is a dead-on match to the catalog illustration. Cook County reports this Cornell was built in 1929 which seems reasonable. Northfield as a suburb didn't see much in the way of development until 1927 or so. 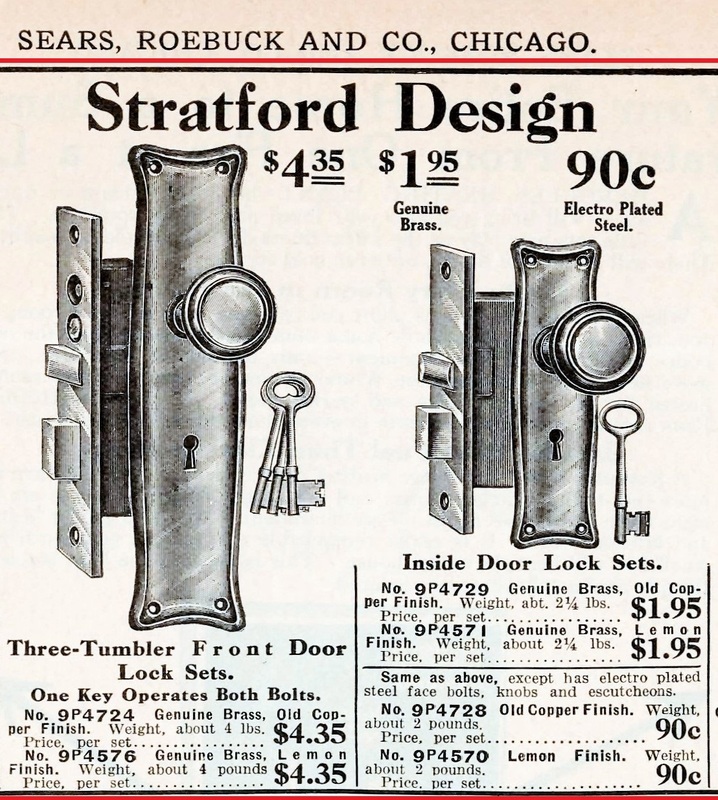 Ad from June 1927. "Northfield a New Model Suburb/First on the North Shore in a Generation/Opens June 18." Train service to Chicago always stimulated development. The North Shore Line tracks went by the house's location at the end of Harding Road. Newly beamed ceilings and refinished floors. Bookcases that flanked the fireplace were removed during an earlier rehab. Photo from Realtor site. The combo kitchen and dining room that connects to the living room. That was not a bay window originally, but was added during the renovation. I like it! Photo from Realtor site. One of the small bedrooms in the Cornell. This one is about 10' x 10' and has a doorway to an upstairs rear deck that appears to be original to the house. Photo from Realtor site. The same door to the deck, as seen in an earlier listing. 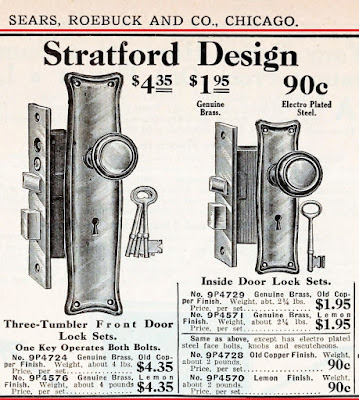 That is original Sears Stratford door hardware. In the last round of renovations, almost all original doors, windows, and trim pieces were scrapped for some reason. 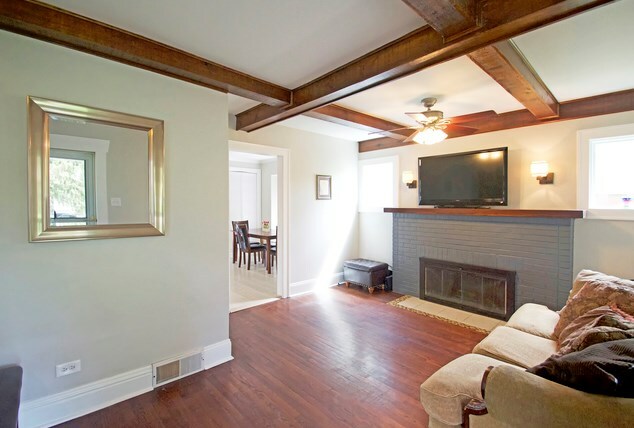 Blurry photo from Realtor site. I believe that the architect of the Cornell was B.T. Lourim. Changed, but still recognizable! 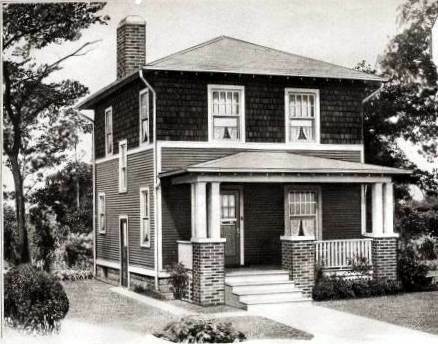 I'm curious - do you think the porch was altered or was it originally built without the brick piers? It's always fun to see how the interiors have come down through time, also... thanks!